Setting the holiday table rivals pulling a gorgeous perfectly roasted turkey from the oven as the most enjoyable part of hosting a Thanksgiving celebration. 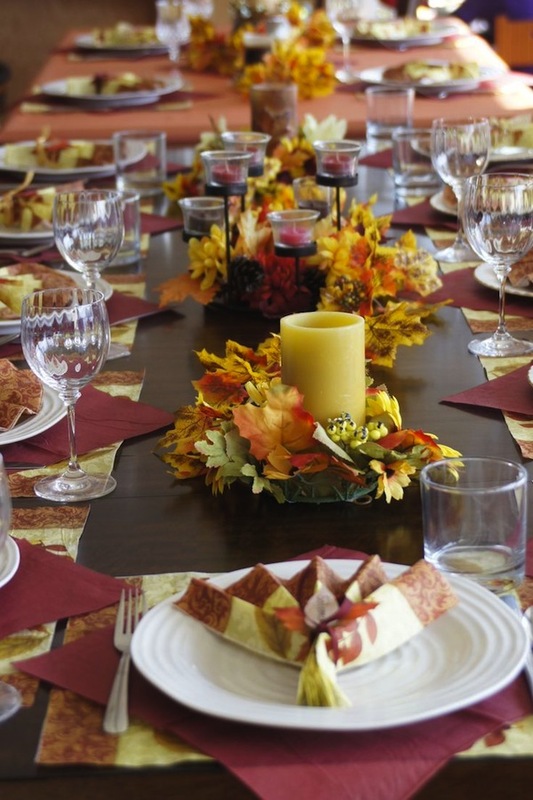 From simple and casual to elegant and formal, the Thanksgiving tablescape can be anything you want it to be. 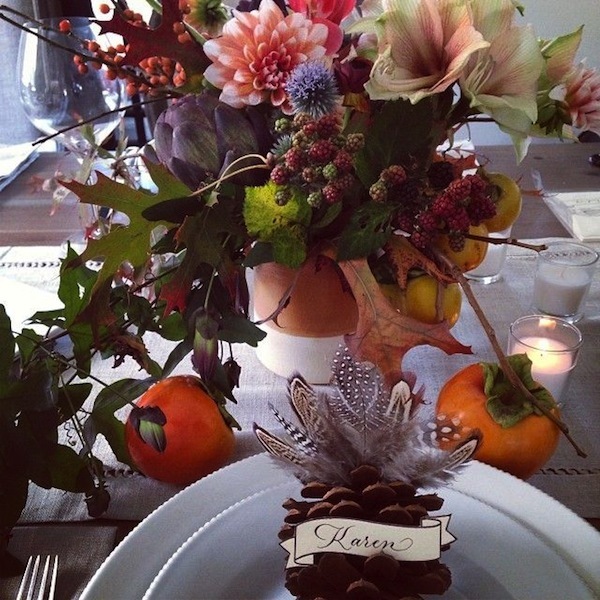 Flowers, candles, pumpkins, autumn leaves and even vegetables can be incorporated into captivating Thanksgiving tables. 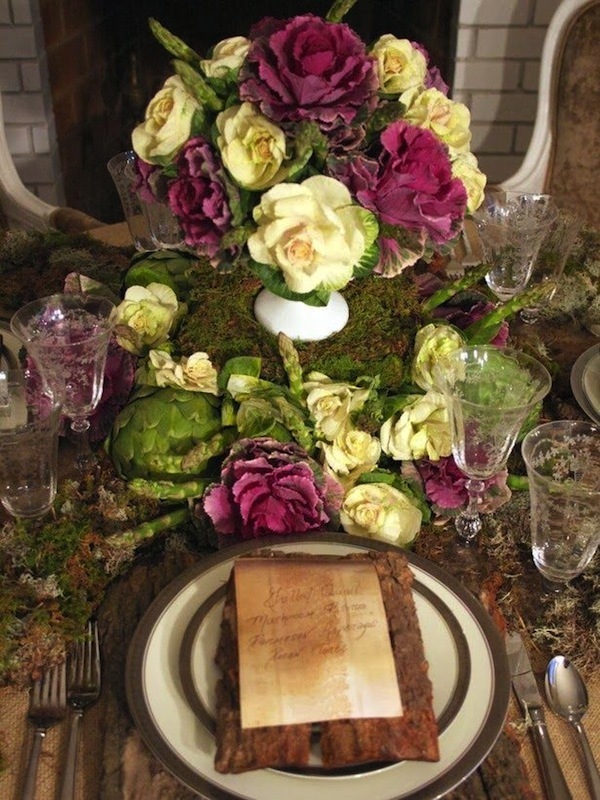 We’re seeing so many ideas for beautiful table settings right now and wanted to share some of them with you just in case you needed a bit of last minute inspiration. 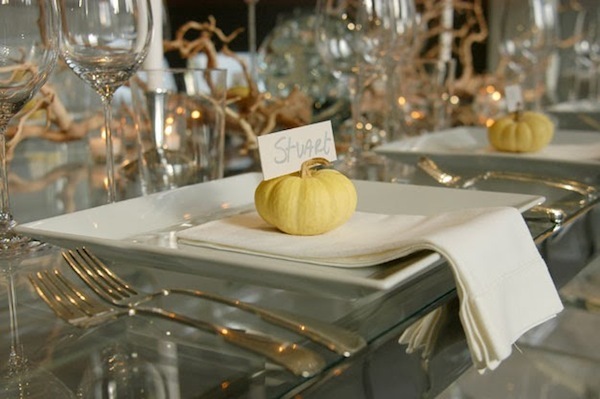 We love the idea of adding a menu to the Thanksgiving table setting. 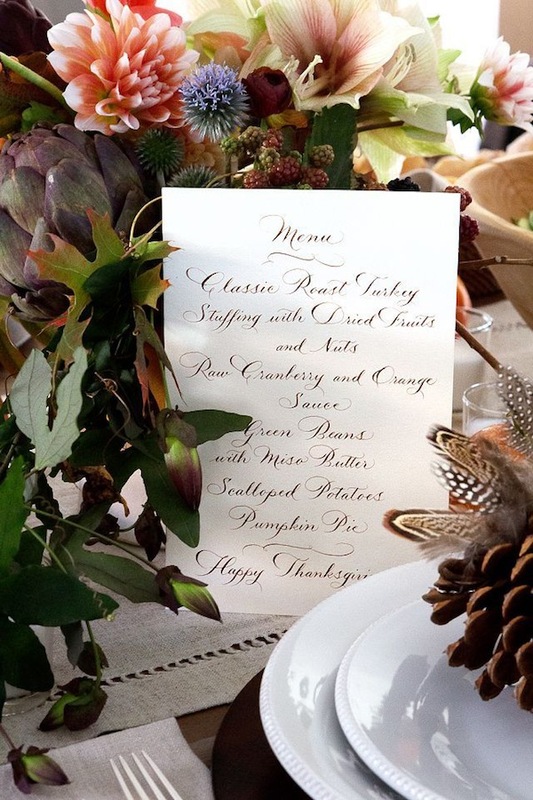 This sumptuous holiday meal is noted in pretty calligraphy. 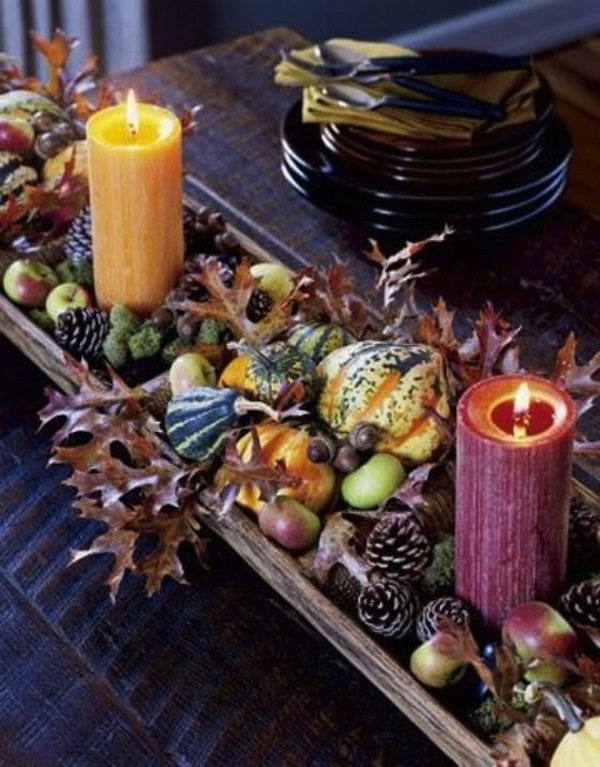 A simple traditional tablescape includes autumn leaves and candles to match in yellow and burgundy. 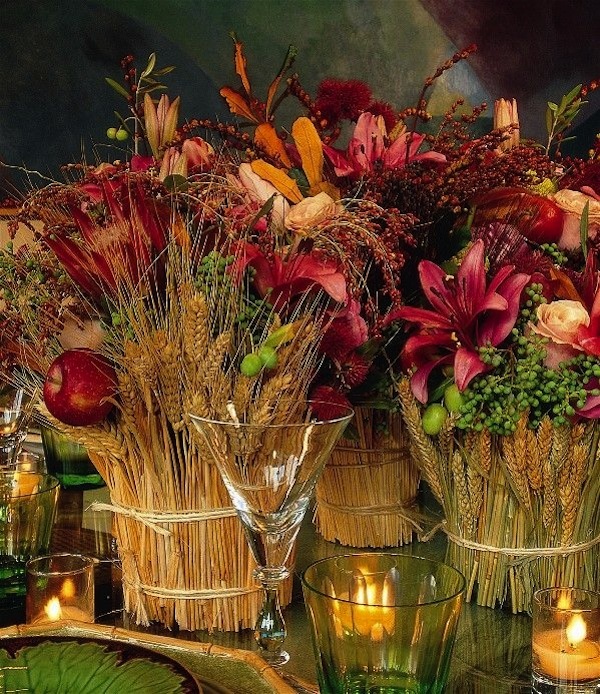 Stalks of wheat surround chunky vases holding a beautiful array of flowers in fall hues, along with fruit tucked in here and there. Using feathers in home décor seems to be on trend right now. Here tiny bundles of feathers are tucked into pinecones to create placeholders. 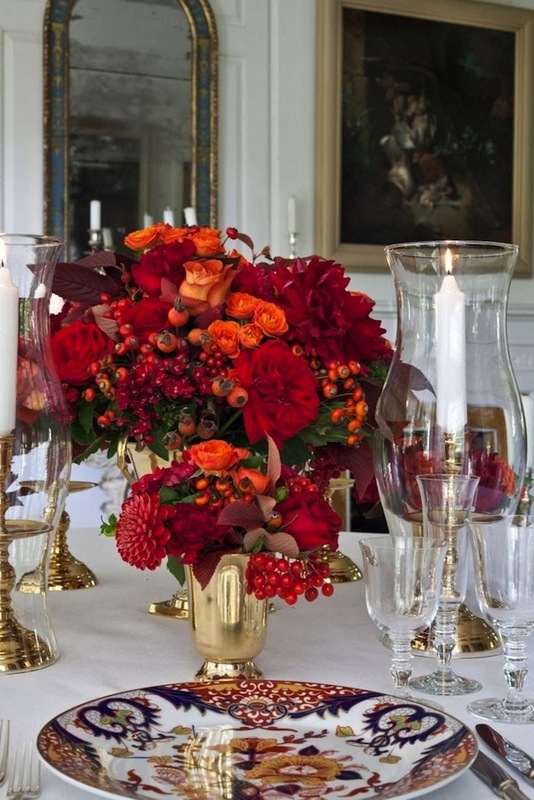 Bright persimmons are perfect little additions to the gorgeous hues in the floral arrangement. 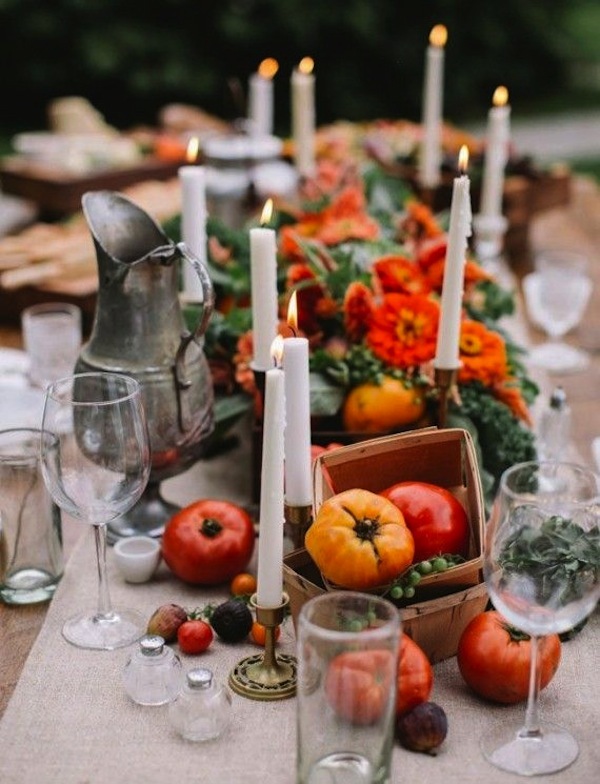 Fresh tomatoes and figs tumble from little farm stand baskets on this candlelit table with low floral arrangements. It’s a great look don’t you think? 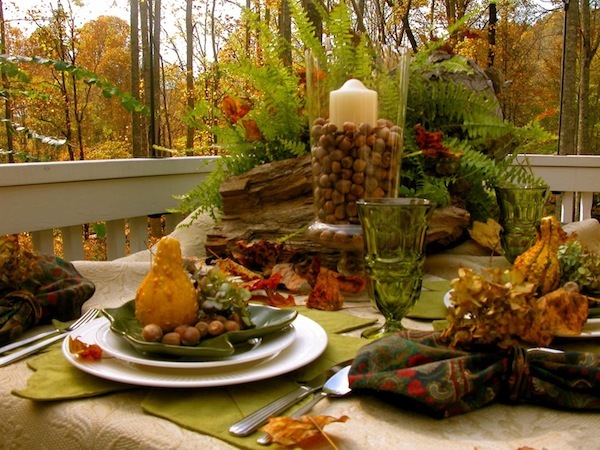 A rustic Thanksgiving table seems perfect for this outdoor setting amid a gorgeous autumn landscape. 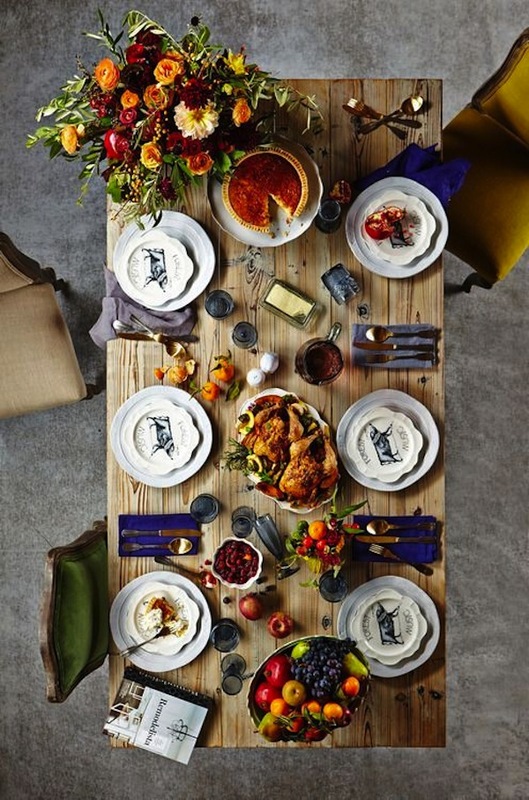 A bird’s eye view from above shows a great idea for moving the centerpiece to the corner of the table so that the food takes center stage. 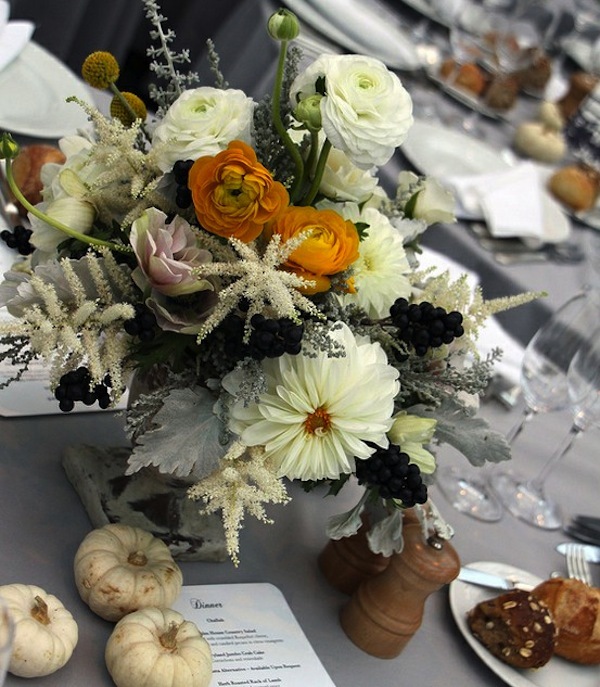 Pretty bouquets of creamy white and pale orange flowers get a Thanksgiving look with tiny white pumpkins and dinner menus. We offer a wonderful array of decorative objects for the table that are the perfect pieces to enhance your fall and winter holiday table settings. Take a look at our collections of iron candleholders and decorative vases on TimelessWroughtIron.com. 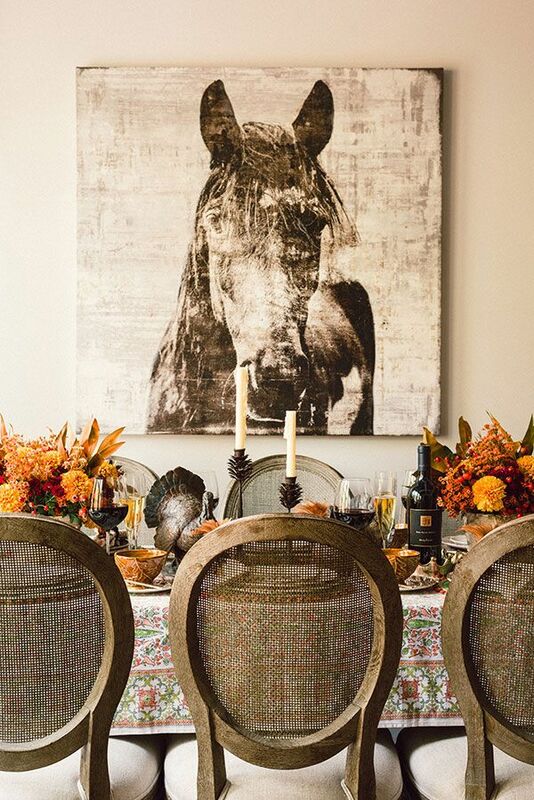 Discover more Thanksgiving tablescape ideas from Houzz.com contributor, Becky Harris in her Ideabook, “Houzzers’ Tablescapes Capture the Thanksgiving Spirit“.